I can finally get rid of all my previous midi controllers and keyboard for 2016. This has to be the best controller we have used in the studio. I have owned it less than a week and I already cannot see myself going back to my MPD or Midi keyboard for that matter, this is very versatile. The controller is solid. The frame is well constructed and the pads were built to last. Since I started as a drummer in my music career it was always more difficult for me to play piano, but now I can drum out my melodies using the pads built in chord structure and it has made my melodies way more complex and much more smoother. The knobs are spaced out enough so your fingers do not get stuck in between them as I am fine tuning my project or recording automation, live or . I could keep going on about how amazing this piece of equipment is, but you have to try it yourself to believe me. If you were on the fence about purchasing this and you are an Ableton user, I suggest you take the plunge and make the purchase. It’s well worth it and I have not been able to put it down since I got it. The machine is basically plug and play with the USB it comes with, a quick auto link between Ableton and the controller made making music almost instantaneously, incredibly easily. Oh, I forgot to mention that I was making music with this thing in a couple of hours after watching the tutorials. 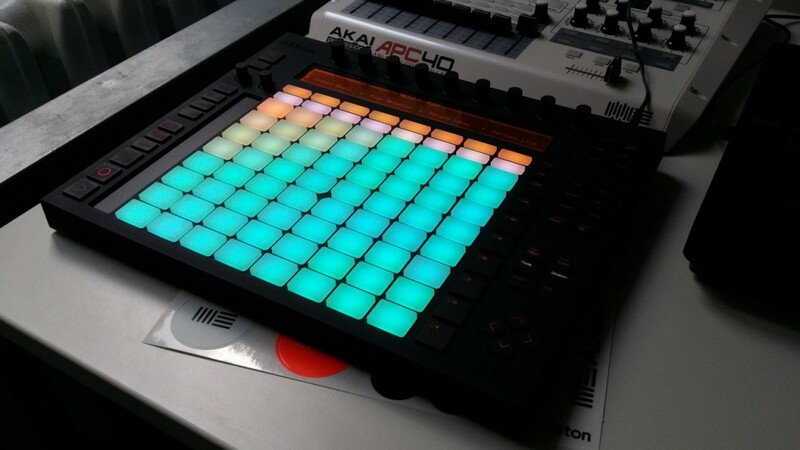 I hope this Ableton Push Sequencer review helps anyone looking to get some new gear for 2016. This is perfect for any beginners using the Ableton software. This is also an amazing controller, however, using it with the Ableton software truly gives the hardware it’s full potential.